I introduced my friend’s art work at my community. He support local hand made Japanese paper production in Yamagata. 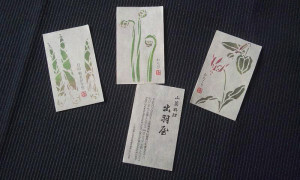 So, he made business card from hand made Japanese paper for his client. The client is an edible wild plant restaurant, Dewaya in Yamagata prefecture. My friend talk about this concept as below. 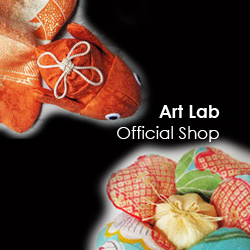 “It’s printed on “the Gassan Japanese paper”, the traditional Japanese paper. This time, renewed those business cards in motifs of Gassan root bent bamboo, bracken and fawn lily (from the left of photograph). 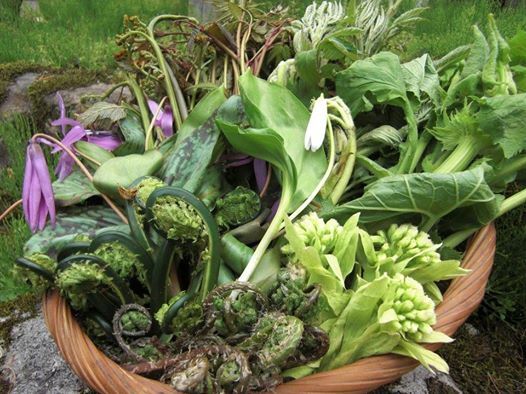 Except for this, really various types of edible wild plants exist. 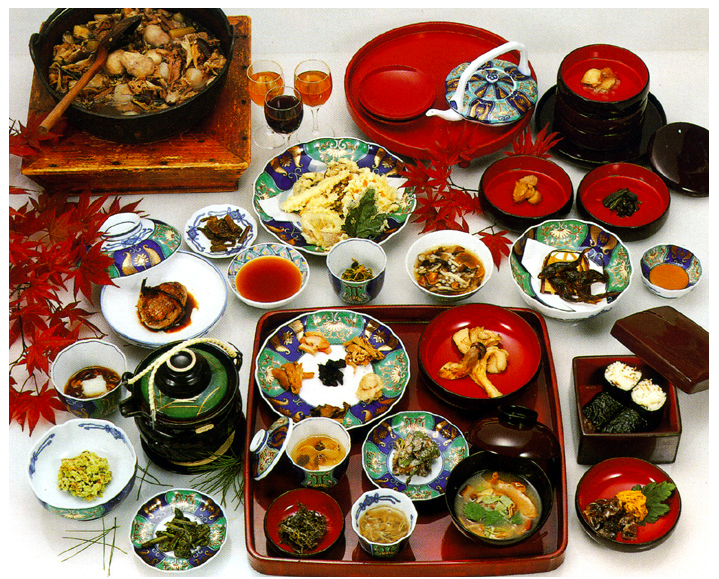 There is the recipe, preservation method that ancient people has been taken over in each. 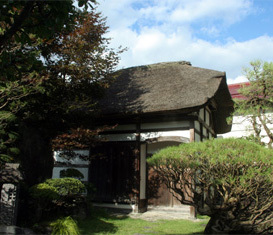 It is a Dewa restaurant , that has established a business for 85 years. 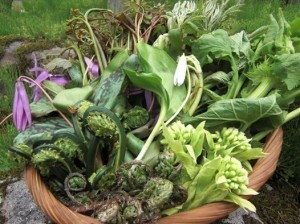 So the restaurant serve the edible wild plant dishes, which use those of traditional cooking. 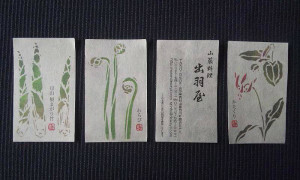 The pictures were made on a patterned paper using a traditional Japanese dyeing and weaving technique, known as “kata-e-zuri”「型絵刷り. 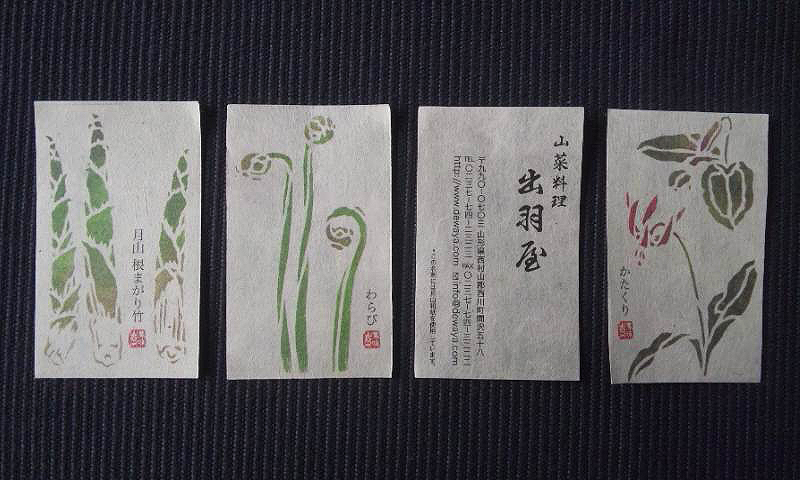 I printed it on “Gassan Japanese paper”, which is made in Nishikawa-machi, same city of a Dewa restaurant. Japan is abound with nature. There are many kinds of a wild plant in Japan. In addition, there are variety of form, size, colour and ingredients. The Japanese take these plants in a unique sense and a superior technique. 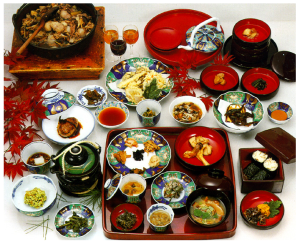 In the long history, a plant suitable for the climate of various parts of Japan is still eaten as an edible wild plant by a local person.